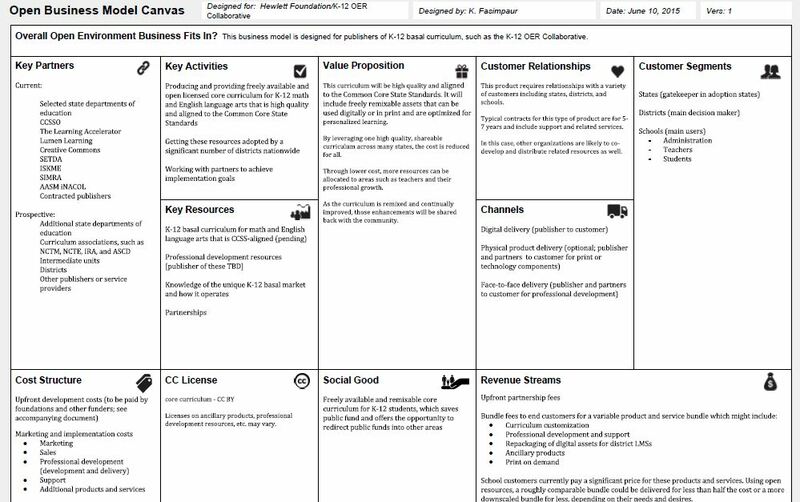 Creative Commons is currently engaged in a project to look at open business models. They’ve put forth this template and have this community to share these ideas. Since I have been thinking about this as it relates to core curriculum for K-12, I have tried to synthesize some ideas here. As always, I’d love your input and ideas.